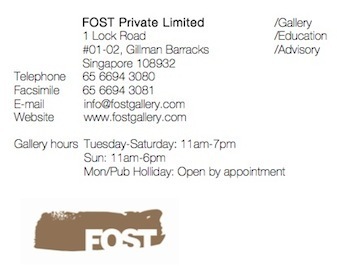 FOST Gallery is pleased to present Palimpsest, a solo exhibition by Phi Phi Oanh from 10 March – 29 June 2014. 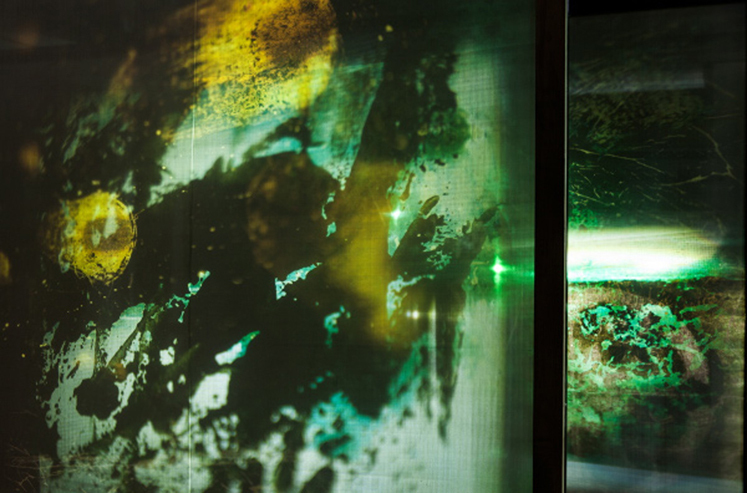 Palimpsest is a sculptural light installation consisting of miniature lacquer ‘skins’ painted directly onto glass slides and projected onto the wall or translucent silk screens to create an atmospheric phantasmagorical space. These projected ‘skins’ are reminiscent of images seen through a telescope or microscope. The images present a macro or micro view of the universe invisible to the naked eye if not for the aid of a lens. With Palimpsest, Phi Phi continues to push the boundaries of Vietnamese lacquer painting, a medium central to her practice. She employs these experimentations with lacquer painting as a field of artistic research through which to explore new relations between art history, sociopolitical context, memory, contemporary critical theory as a means towards new methodologies of interpretation and production of meaning. Image: Projected lacquer skins on silk, L'Espace exhibition, Hanoi, April 2013.